Gamers This Is Your Wednesday Steal! 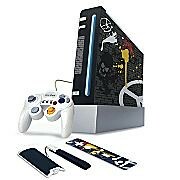 Only Online and Only Today, At JCPenney, get this Wii Gamer Pack compatible with Wii and GameCube. This Pack includes shock remote control, 3D hologram skin lets you style your remote to your own identity, rubberized battery compartment for a better grip, and matching wrist strap. Reg $59.99, today only steal priced at $ 14.99. Save more money by shipping to store for free! Sam’s Club HP 10.1″ LED Blue Netbook, $228, HP Desktop Bundle w/20″ monitor, $499. JCPenney® Flip waffler, 12 cup coffeemaker, 6 qt. slow cooker, griddle, 4 slice toaster $9.88 after $10 mail-in rebate. Menards® Sansui 22′ LED TV $99 after $100 mail-in rebate, Cricut Expression Cutting Machine $148 cartridges $19.99, Cuddle Up $2.49 (great stocking stuffer. The Home Depot® Live 6″ Poinsettia plant 99¢, Maytag®25.0 CU. Ft. Stainless Steel French Door Refrigerator w/ ice maker reg.$1699, $998, LG 4.2 Cu. ft. Steamwasher™ & 7.3 Cu.ft. Steamdryer™, (pair) reg. $1998, $1198, DeWalt® 18-Volt compact Drill/Driver Kit $99. KMart Women’s wool peacoat $19.99, Joe Boxer babies’ and kids’ 2 pcs. pajamas 5.99 & $6.99. Dynex™ 7″ Digital Photo Frame (10 per store) $29.99, MacBook Pro5 (3 per store)$1199.99. Hancock Fabrics Juno Serger by Janome $179.99, Simplicity Rotary Cutting Machine $49.99. Younkers Olympus 14 Megapixel digital camera $79.97, Reversible down-alternative comforter any size $19.97, $10 coupon for an item over $10(cannot be combined). Walmart 32″ Emerson LCD HDTV $198,HP 15.6″ Laptop250 GB, 3GB memory $298, Zhu Zhu Pets™ $4 each, Shop-Vac® 5 gal. 2 hp $15, Oster Flip Belgian Waffle Maker $9.97, Sony 46″ Bravia LCD HDTV (available Saturday only) $698, Beyoncé “I Am” DVD (saturday only) $10, Justin Bieber “My Heart Edition” CD $10(saturday). Kohls Chef Mat 4 colors $24.99. Michaels® Cricut® V1 Personal Electronic cutter $69.99, Creatology™ 100-piece art set $2.79 each . Shopko® 10-drawer Rolling Cart $27.99, Pecan Jewelry Armoire $49.99. Karoake is always fun and Playstation 2™ has a new spin on this and it is hot, hot, hot! 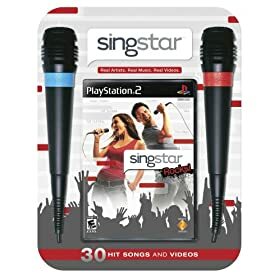 SingStar Pop (1 & 2), 80’s, 90’s and American Idol allows gamer to customize pitch, tone, and rhythm to score performances, multiple gameplay modes from top singing stars. Available from Amazon from $16.99 to $44.79 for the bundle. Can still ship in time for Christmas, but hurry! Too soon to shop for the holiday season? Not if you go by the displays in the stores. However, there is always one or two hot ‘must have’ items that every Nintendo™ gamer will want and will be hard to get. 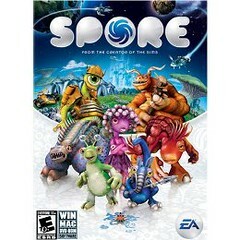 This year, Markdown Mom predicts that one of these items will be “Spore™” from Electronic Arts. Five years in the making, this game appeals to both males and females. Customize your own creatures, and go through stages of evolution with them. Available at Target for $49.99. Don’t you just love those ads featuring William Shatner as a World of Warcraft (WoW) shaman? Somehow ads always speed up during the last few seconds and you miss crucial information, like a website featuring a free trial. A free 10 day trial can be found on the World of Warcraft site and you can chose the original game or The Burning Crusade. WoW is a massive multiplayer online role playing game so be prepared to interact with other people. You choose a character avatar and throughout the game may view the landscape, fight monsters, preform quests, interact with other avatars, and build skills. If you like the game, you may purchase a subscription to it for $29.99. Gamers have a lot to wish for this holiday with games like Halo 2, Silent Hill Origins, and The Simpson’s Game. However, gift givers may have a difficult time finding these in the stores, not to mention finding the correct format (PSP, PS2, XBOX360). Gift givers may want to ask themselves "what happens when the gamer has completed all levels? ", the answer usually is collecting dust or propping up windows. The simple solution that pleases both buyer and gamer is a gift certificate to GameFly. GameFly essentially works like Netflix. The gamer selects videogames that he/she would like to play and will receive them within 1-2 days. You can keep the videogames for as long as you want without incurring a late fee. When you’re done ship it back in the envelope it was sent in. It’s as easy as defeating the zombies in Doom! Gift certificates can be purchased for 1-12 months (1 month is $22.95, 2 games out at a time). You may have the gift certificate sent to the recipient via e-mail or print it out and hand deliver. Can’t wait for the final episode of the Shrek triology? Go to the Shrek movie homepage and enjoy playing fun filled Shrek Games, such as the Shrek Memory Game and Sudoku…at least until the movie comes out. Shrek the Third opens May 18th! You Have To Know When To Texas Hold’em and When To Fold’em! MDM remembers being taught by her grandfather poker at an early age along with her brothers. Her grandfather had been given a set of metal chips made of bronze, copper, and another material with the amounts imprinted on them. He carried them in a wooden box embellished by a cigar advertisement. MDM proved to be a good poker player and handily won against her brothers so much so, that they quit playing with her. Money was never wagered, it simply was a game of fun. 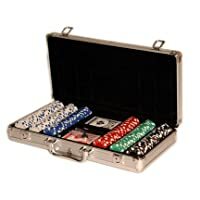 Texas Hold’em has given this old game, new life and Amazon.com has a large variety of chips, cards and accessories to meet the needs of the professional or amateur like this 500 pcs. chip set accommodates 8-12 players, Reg. $299.99/sale $22.99–92% Off! This is a great set to learn with at a fabulous savings. Have fun, but remember for most of us it is a game, not a vocation–Be sure to gamble responsibly. ‘Those Magnificent Men In Their Flying Machines’ would love this event. Sponsored by the energy drink, Red Bull, Red Bull Flugtag USA is a game of flying handmade machines into water. Teams are judged on distance, creativity, and showmanship. The record for distance is 195 ft. while the USA record stands at only 78 ft. The next event you can participate in either as a contestant or an observer is set for Nashville on Saturday, June 23rd. MDM doesn’t know if this is an extraordinary flying event as it boasts, but it sure does look like a lot of fun! Click-on site for more information. Plus you can play the online version of the Flugtag Game without getting wet.